Lazio appear to have a genuine interest in signing Adolfo Gaich this summer. According to a report from Calciomercato, Lazio are monitoring San Lorenzo forward Adolfo Gaich. This season, Gaich has scored two goals in 9 appearances for San Lorenzo. The 20-year-old has long been touted as one of Argentina’s most promising young talents. 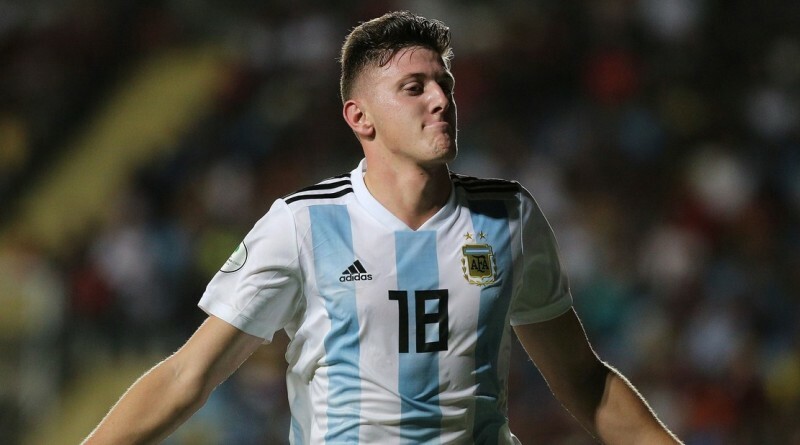 Adolfo Gaich has represented Argentina at Under-20 level, winning 10 caps and scoring 4 goals. His performances have seen him become the target of many European clubs including Lazio. The report claims that Lazio sporting director has extensively scouted Adolfo Gaich and is considering a move for the forward. He is a known admirer of the player and is reportedly keen on the idea of bringing him this summer. Adolfo Gaich would provide a good variety to Lazio’s attack. San Lorenzo are not in a position where they need to sell and would like to keep hold of the forward, but right offer may force the club to consider a deal. Undoubtedly he would be a fantastic recruit for Lazio.